Bridesmaid gift shopping is tough stuff, and we’ve said it more than a few times ((so, you know we’re not kidding)). 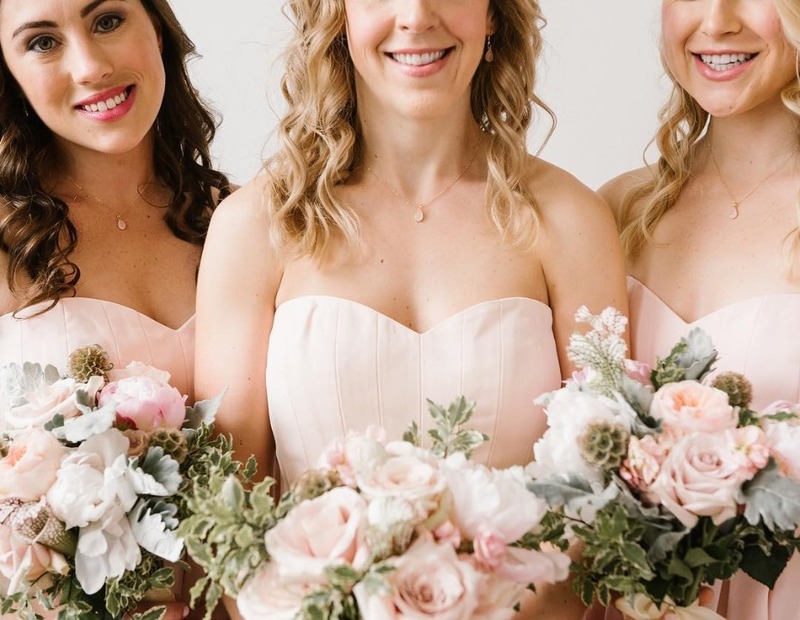 It's hard to find a classy, thoughtful gift that doesn't break the bank, considering one needs to be bought for each member of your bridal party. And if you’ve got more than a few females in your lineup, you can literally kiss those stacks of cash goodbye 💸💸💸 - because they’re not coming back. Jewelry is a more-than popular gifting option, because the squad can wear it well beyond the wedding (that is, if you do you part to find something v. wearable), but it's tough to find jewelry that is both classy and affordable. That's why we wanted to introduce you to our friends @ grace + hudson jewelry. 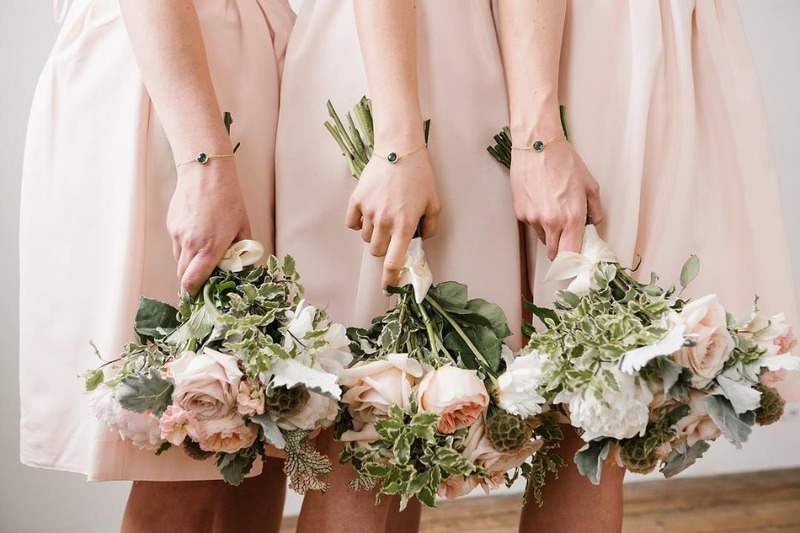 Their dainty, timeless pieces, with subtle pops of sophisticated color, are perfect for bridesmaids, flower girls, and mothers of the bride and groom; plus, the jewelry seamlessly transitions to everyday wear so this is one gift your tribe will actually use once your wedding day has come and gone. grace + hudson is also ridiculously well-priced: most of the price points are well within the range of $40 to $80. Has anyone else struggled with finding great wrapping options for their gifts? I liveee for putting together pretty packages, so it’s pretty high up on my priority list ((espesh when I’m already spending money on a gorgeous present, it warrants wrapping that’s worthy)). Everything from g+h is delivered in a blush and gold suede pouch, so it's primed for gifting. You can also choose to have your jewelry placed on a beautiful linen jewelry card with a sweet sentiment that reads, "Thank you for standing by my side on this special day. Every time you wear this jewelry, I hope you remember the fun we had on my wedding day." There are similarly-sweet messages on linen jewelry cards labeled "Flower Girl" or "Mother," too. Because obvi everyone needs one of their own! And the bride can treat herself too! How about one-of-a-kind jewelry for your wedding day? grace + hudson also offers custom design services at surprisingly-affordable prices. In exchange for a $75 design fee paid upfront, you speak with the company about your vision and, a few weeks later, receive renderings of three potential design options that capture your vision. You'll then work with the owner of the company to tweak one of the designs until it's everything you could ever ask for. The finished product is typically priced between $50 and $80 per piece and the process takes 4 to 6 weeks from start to finish. So, if you haven’t found anything you’re in love with, and have at least two months to go, then we FOR SURE recommend something bespoke from g+h. They work with brides virtually, so you can take advantage of this service no matter where you're located. To get started, view the custom design page on their website. "After finding grace + hudson and talking with Stacy, I was confident and extremely excited to collaborate on some beautiful and classy pieces. We met over coffee and within an hour had 3 different designs - all variations of the same underlining design. Within a few weeks, Stacy had pictures, offered to iterate through them, but there was no need...she nailed it the first time round." ~ Jaime F.
Yup, it gets even better. grace + hudson jewelry donates a portion of every purchase to a special charity, which changes every six months. RN, proceeds are going to Girls, Inc., a foundation that helps young girls become "strong, smart, and bold" through programming, mentorships, and experiences that build the learning, skills, and behaviors that increase confidence and resilience. 🙌 The brand also hosts unique events such as a SoulCycle ride and a summer rosé party, where all of the proceeds are donated to charity. Basically, these ladies do lots of giving back!! NVM, truly last but not least! Shop the full jewelry collection now or view their collection for brides and bridal parties. You'll find bracelets in regular AND extended sizes, and chain extenders on each necklace because grace + hudson recognizes and appreciates the one-size-does-NOT-fit-all life. 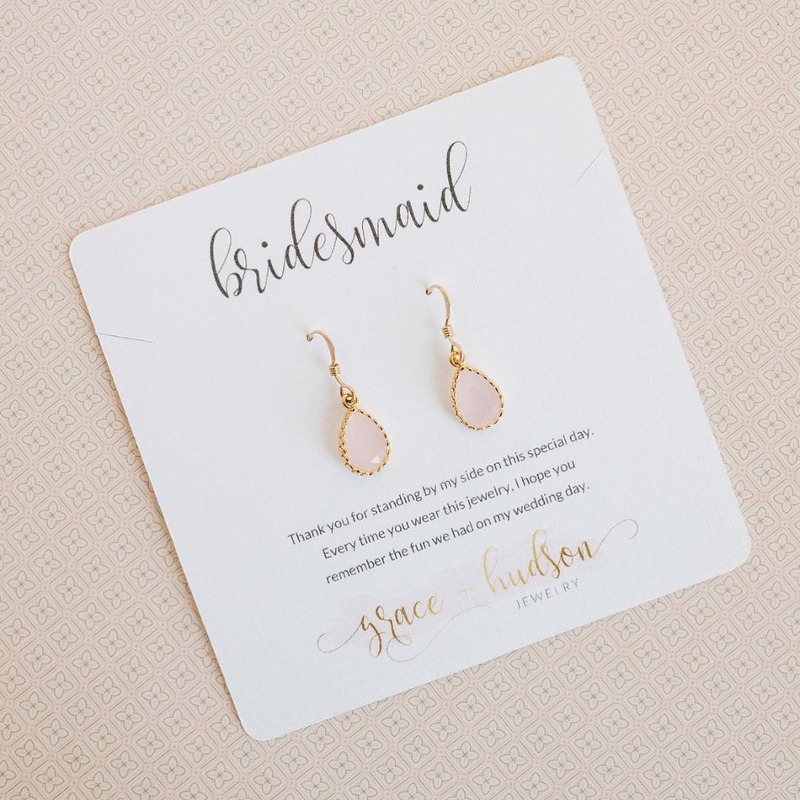 Enter ‘WEDDINGCHICKS’ at checkout for a cool 20 percent off your grace + hudson jewelry order! Oh, and nooo need to worry about allergies. 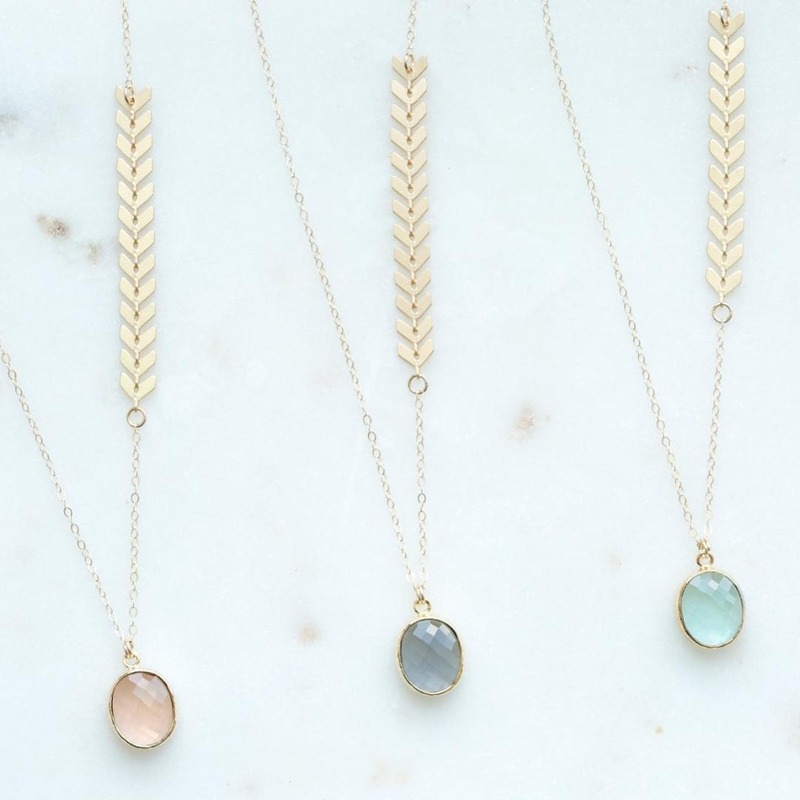 grace + hudson primarily uses gold-filled and sterling silver ear wires and chains, so their pieces generally will not aggravate customers with metal sensitivities. They also stand behind the quality of their jewelry ((of courseeee)), and offer free lifetime repairs and polishing. YAY! 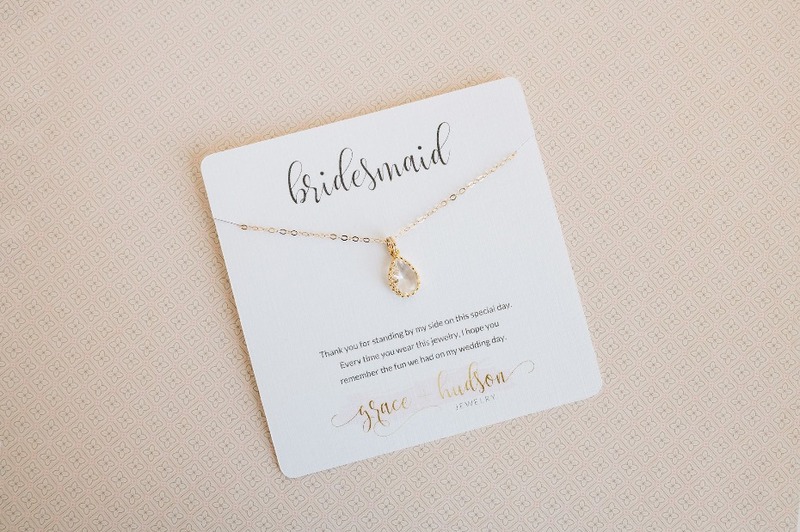 We partnered with grace+hudson jewelry to give brides some of the best gift ideas for their girls. Really, the pastel colors they work with make us think of 🦄🦄🦄 (IN THE BEST WAY POSSIBLE). As always, thank you for supporting our sponsors!